Pregnancy, by and large, is a phenomenon that happens to a woman. The moment of conception, gender, hair color, and even moment of birth are completely out of the mother’s control. The mother who is expecting a child wields very little – if any – control over the pregnancy, yet a tremendous amount of influence over it. The choices she makes in a myriad of little things yield drastic differences. It seems nearly everything she does makes a difference in the health of her own body as well as that of the child within. A baby can be born perfectly healthy with the mother living through pregnancy with a “life as usual” attitude; a baby can survive even when the mother makes catastrophic choices. 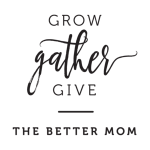 But a baby and mother can thrive and enjoy an even higher quality of life and bonding when she takes steps to nurture herself and her unborn child – even in less than ideal circumstances. 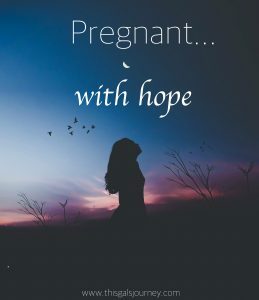 Several years ago I came across the phrase “pregnant with hope” while reading. I don’t remember the context or in what I read it. But I do know the image that conjured in my mind. I pictured someone so full of hope welling up inside them that they nearly burst with it – with no effort of their own. An incessantly, almost sickeningly, happy person with more naïveté than wisdom or desire for a real view of the world. We live in a dark world. A dark world full of dark people capable of unthinkable evil. And hope, like a newly conceived baby, is fragile and can be easily trampled by the realities we face everyday in our neighborhoods, cities and on the television. It’s easy to let the darkness reign and fill in the cracks where faith can’t provide a tidy answer or wrap life up into a pretty little object lesson with a perfectly packaged solution at the end of the puzzle. Hope gets buried among the grief, disgust and confusion of it all. Yet hope, like that tender growing babe, while fragile and delicate is also strangely resilient; shockingly strong with a penchant for life. Hope can survive throughout unimaginably difficult circumstances. Hope can grow and thrive and multiply without any outside effort on our part. The Author and Creator of our hope can do amazingly magnificent things through the medium of hope; and, lets face it, He needs no help from us just as a babe needs no concrete help from his mother to develop a heart, hands, fuzzy hair on his head. To feast on Food that nourishes and strengthens; to drink deep the Water of Life; to dream and plan and dream some more about what this hope might become. To take intentional steps to protect hope at all costs from the pollutants of this world… Oh how much deeper and stronger would that hope be that lays dormant within us so many days? How much more bonded would we become to the idea that hope can endure? So if we think happy thoughts all will be well? No, not even close. Yet if we fight against the darkness, beginning with our own thoughts – the ones so dark and misty it scares us to even acknowledge them – and consciously transform them to things of light, things of life, things of hope… Imagine the rebirth of spiritual brightness that would return to your heart. And then I do it and he does it and she does it… Oh I can see the hope blooming even now. It seems to me, the more hope in this world that is set in things that are noble, honorable and lovely; nurtured in excellent, commendable things, the better off this world would be. Agreed? You see, a hope nurtured does not remain merely hope. Hope spurs one on to action, to enforce change, to be the impetus of tangible deeds that plant a seed of hope in another. A hope nurtured grows and matures and transforms from unseen to seen. A hope nurtured and birthed into tangibility, by nature, breeds hope in those with whom it interacts. Hope begets hope; kindness begets kindness; honor begets honor. The hope you nurture within your own soul can become life-changing hope to someone else. 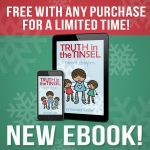 Someone that might not have anyone else who can implant that first seedling other than you – and you might be completely unaware of it happening at all yet it is dependent upon the hope birthed from you. So whether hope is but a tiny seed in your own heart or a burgeoning bloom nigh to tangible for those around you, can I encourage you to take time to nurture it? To protect it? 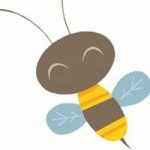 To feed and encourage it to grow? Tell me, what is something true, noble, honorable, just, pure, lovely, commendable or excellent to which you can turn your thoughts when the darkness threatens to crush your hope? Share it in the comments and let’s nurture a bit more hope in the world together. Who knows, what you say may be the very thing someone else needs to hear to pull them from the pit. 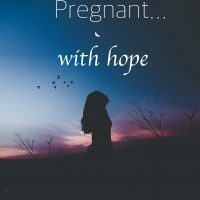 Pregnant with hope. That describes me quite well. I am a Christian wife and homemaker, married to a wonderful and supportive man. I am pregnant with our first child. I have been on all the courses and read many books on being pregnant and I realize there is so much that could go wrong. I agree with you that there is not much that I have control over and I trust in the Lord. Dwelling on the possibilities of what might go wrong can eat away at you. I then focus my thoughts on the hope I have for our daughter and what could go right. What can be more true, noble, honorable, just, pure, lovely, commendable and excellent than hoping for the Lord to give us a healthy child. Nothing that I read beforehand quite described the joy and excitement that I have felt being pregnant. When those around me try to fill me with their stories of horror I turn from them and focus on the hope I have for my daughter and to hold her in my arms. Living in inner peace is something I can influence and that comes from living in the way of the Lord and focussing on His love.